Flaunt the raging trend of the season: mismatched / unbalanced earrings, with our Tiffany Earrings, an insanely chic design studded with cubic zirconia. 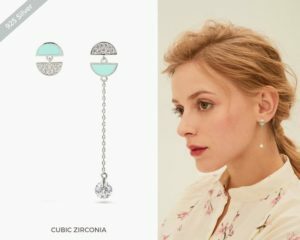 It creates a dazzling pop of sparkle with a sleekly polished, minimalist charm, perfect for formal luncheons and fancy get-togethers. 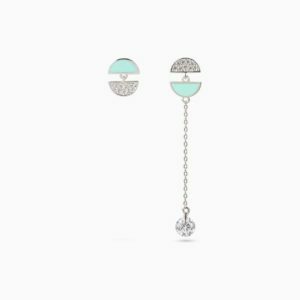 This entry was posted in Earrings by product reviews. Bookmark the permalink.